Hi, I am writing a paper on chile for school and I was hoping you could answer some questions. First, Who, where and when is food normally prepared? Where and when is food normaly consumed? Who shared the meals? 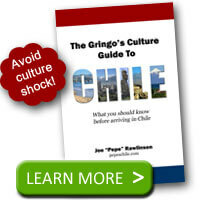 Finally, what food taboos are there in Chile? I hope you can help! 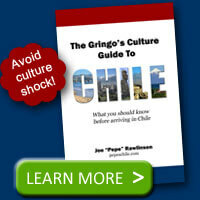 I’ve got some information on typical Chilean food and schedules here on my site. Traditionally, lunch is the biggest meal of the day prepared by the “mom” of the house in the kitchen. The family will then all eat together. I don’t know of any food taboos but there is the legend of the “boca chueca” which is related to drinking hot or cold beverages.